The changes adhere with Trump’s goals of energy dominance on public lands. Jim Lyons is a contributor to Writers on the Range, the opinion service of High Country News. He is a senior fellow at the Center for American Progress and lecturer and research scholar at the Yale School of Forestry and Environmental Studies. Somehow, Interior Secretary Ryan Zinke needs to recognize that the greatest threat to economic development in sage grouse territory is not the existing sage grouse conservation plans, but the threat of losing the “regulatory certainty” that they provide. 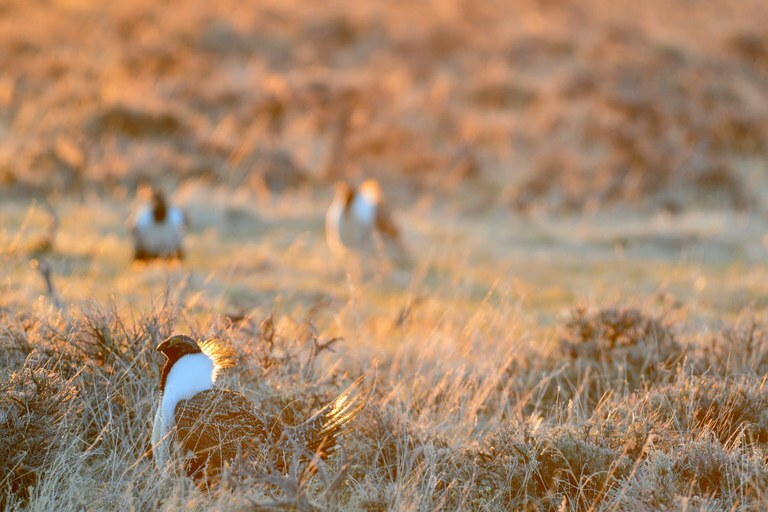 Lose the predictability necessary to encourage investment in the sagebrush landscape, and its communities are likely to become endangered along with the greater sage grouse. Zinke has now directed Interior Department staff to modify or issue new policies for oil and gas leasing, including waivers, exceptions and modifications in priority habitats, despite expert advice that further energy development in priority sage grouse habitat should be avoided. In fact, Zinke would open all sage grouse lands to energy development. This reverses current policy to lease and develop non-habitat first and ignores an independent oil and gas study that found that 79 percent of priority habitat areas have zero-to-low potential for oil and gas. And it is counter to the best practices of leaders in the energy business. Also against expert advice (including, apparently, the counsel of Wyoming Gov. Matt Mead), Zinke intends to establish state population goals, captive breeding and predator control programs that he claims will benefit grouse populations. The Western Association of Fish and Wildlife Agencies questioned the population strategy, suggesting instead that preventing habitat conversion and degradation “will be necessary” to avoid listing. Greater sage-grouse on a lek at sunrise on the Wind River Reservation in Wyoming. Led by former Interior Secretaries Ken Salazar and Sally Jewell, the Interior Department worked with Wyoming Republican Gov. Mead and Colorado Democratic Gov. John Hickenlooper, plus leadership from all 11 states in the species’ remaining range, to develop a strategy to conserve the bird and its habitat. Mead and Hickenlooper were joined by Nevada Republican Gov. Brian Sandoval and Montana Democratic Gov. Steve Bullock in September 2015, when Secretary Jewell and the U.S. Fish and Wildlife Service announced that the resulting state-federal sage grouse conservation plan provided enough “regulatory certainty” to protect this unique Western species so that Endangered Species Act protection would not be needed. The plans that comprise the strategy were developed by the Bureau of Land Management and the Forest Service, but there was involvement from all the affected states, the U.S. Fish and Wildlife Service and the U.S. Geological Survey, as well as the U.S. Department of Agriculture’s Natural Resources Conservation Service. Suggestions from public-land users, locally elected officials, cattlemen, sportsmen and women, and other stakeholders were also a major part of the process. The conservation strategy benefitted private ranchlands, too. It was an all-lands approach, and the level of coordination and collaboration was unprecedented. Now, the Zinke directive announced in conjunction with a sage grouse review risks snatching defeat from the jaws of victory, particularly as it emphasizes that sage grouse conservation must not impede President Donald Trump’s efforts to achieve American energy dominance. How the report is interpreted and implemented by the Interior Department and BLM leadership will be critical. What they do to implement proposed changes in the plans and the process they follow will require close examination. A transparent process is important, and because changes will affect public lands, the public has a right to know how their lands are impacted. The former Bush administration appointees now on Zinke’s Interior leadership team amplifies that concern as they previously ignored calls for sage grouse conservation. Instead, these appointees accelerated oil and gas development on the public lands. The 2015 state-federal sage grouse strategy was based on a review of threats to the bird’s survival that was completed by many sage grouse experts. The team made clear the urgent need to “stop the bleeding” of continued population declines and habitat loss and stated that conserving all remaining 35 million acres of priority sage grouse habitat “must be a priority,” since only half of the bird’s historic habitat remains. That is the strategy that still makes sense. But if this and other key elements of the strategy are substantially modified or ignored, this new plan will not work. One can only hope that the wisdom of Western governors will still be consulted by the Interior Department.